On December 8th, two African-American employees filed a class action lawsuit against CNN, Turner Broadcasting, and Time Warner, alleging racial discrimination in the workplace. Specifically, in their lawsuit, plaintiffs allege that the workplace culture at these companies discourages or prohibits minorities from exercising their rights under laws which prohibit employment discrimination. Discrimination in Promotions: where the company was alleged to have a pervasive pattern and practice of systematic and continuing employment discrimination against African-Americans with respect to opportunities to advance to leadership positions and/or otherwise obtain promotions. Allegedly, in the 46-year history of Turner’s Network, no African-American has been promoted or selected to oversee any of Turner’s Networks. 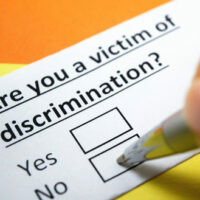 Anyone who experienced racial discrimination in the workplace can seek declaratory, injunctive, and other equitable relief—including compensatory and punitive damages—for violations of their rights under the Title VII of the Civil Rights Act of 1964 and Section 1981 of the Civil Rights Act of 1871 (as amended by the Civil Rights Act of 1991). This isn’t the first lawsuit filed alleging discrimination against these broadcasting giants: Three other plaintiffs filed lawsuits last year, one of them seeking $50 million in a racial discrimination claim against CNN, Turner Broadcasting, Time Warner, and Turner Services Inc. This plaintiff also claimed that he experienced retaliation in his employment position after he filed a complaint with the Equal Employment Opportunity Commission. Another plaintiff alleged that she not only suffered discrimination, but proceeded to lose her job after reporting the discrimination to human resources. One news outlet reports that approximately two dozen current and former employees have now claimed that there is a systematic problem with discriminatory practices throughout Turner networks. If you or someone you know has experienced employment discrimination, for whatever reason—age, disability, gender, race, etc.–we can help. Robert S. Norell, P.A. has been representing victims of state and federal employment discrimination actions throughout the greater Fort Lauderdale area for over 20 years. Our labor law attorneys have helped many obtain justice after experiencing discrimination, whether that discrimination violates their rights during the job application process, or once that they are official employees. Contact us today to find out how we can help.